In a mixing bowl, beat together all popsicle ingredients using a hand mixer until completely smooth. 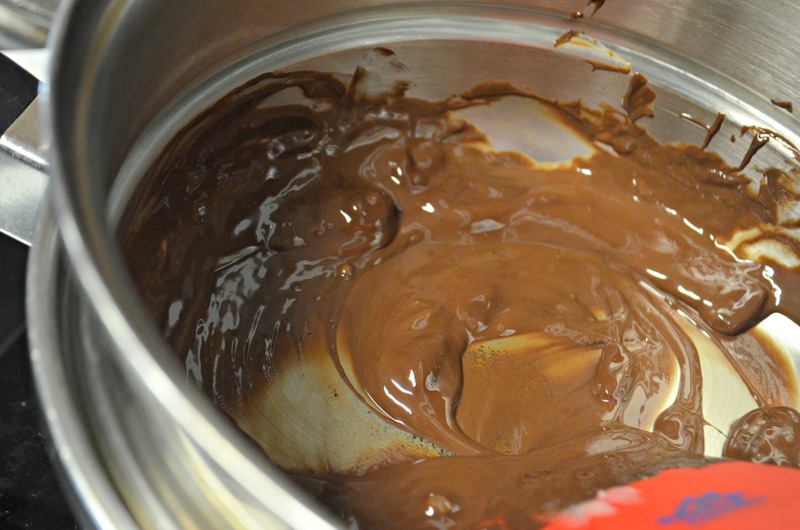 Melt chocolate and coconut oil in a double boiler on the stove, or in a glass bowl over a saucepan with simmering water. 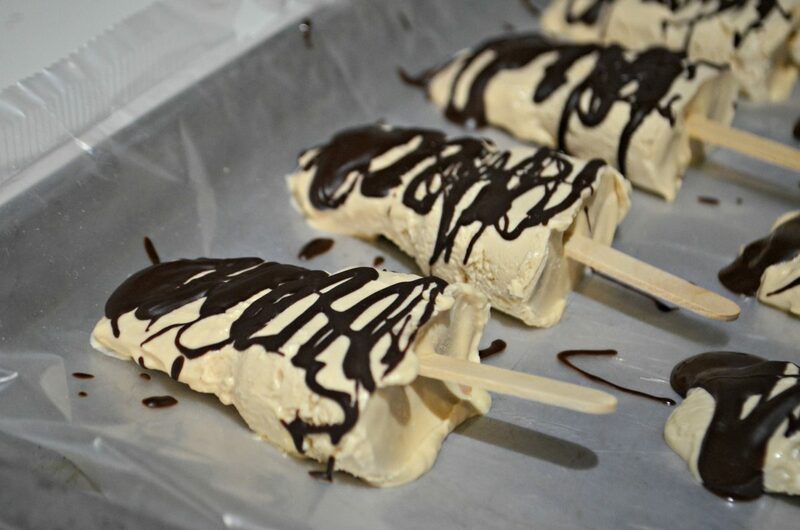 Drizzle popsicles with melted chocolate as desired and place on a parchment paper lined sheet pan. Freeze until chocolate is solid. Craving a delicious frozen dessert? You’ve gotta try these grown-up keto chocolate almond butter popsicles featuring almond butter and heavy cream, with a drizzle of sugar-free dark chocolate. 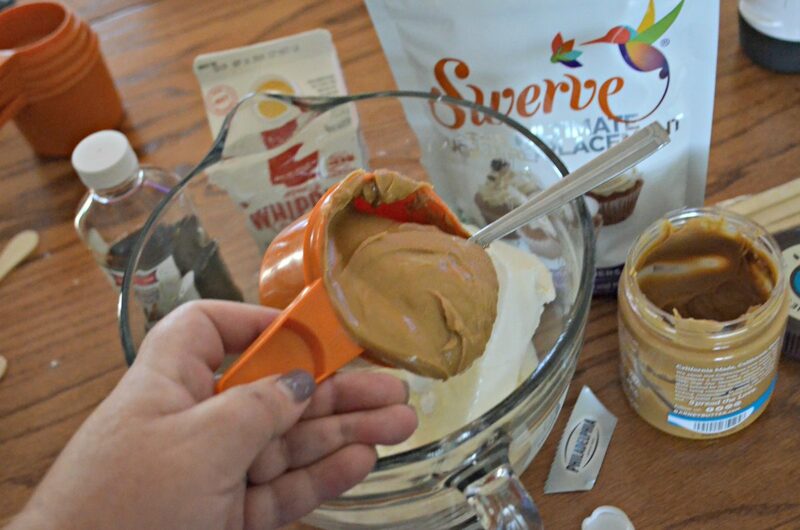 They were super easy to whip up and are sure to satisfy a sweet craving, while still being keto-friendly. Yum! They taste like thick pudding pops! These pops are actually super rich, so smaller popsicle molds work the best (or even paper cups with popsicle sticks would work great). 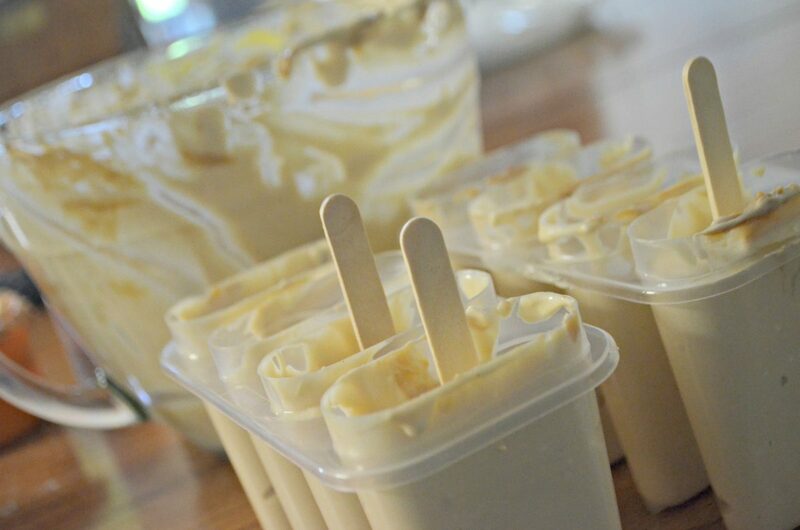 Here are some simple popsicle molds like the ones I’m using. I used wooden popsicle sticks with them. The serving size will vary with the size of your mold, so keep that in mind when figuring out nutrition. This batch made 10 per my molds (nutrition has been calculated for 10 servings). I used almond butter, but, obviously, if peanut butter is preferred, use that. Just make sure to pick a natural low in sugar, or no added sugar brand. I drizzled a melted Lily’s dark chocolate candy bar over these pops, and it’s a yummy addition! This chocolate is sweetened with Stevia and is delicious! I used Swerve Confectioners to sweeten, as I think this tastes very close to actual powdered sugar. However, feel free to sub in your favorite keto friendly sweetener. Here’s a helpful Keto Sugar Conversion Guide, if you have questions on sweeteners. Cool off with these rich and creamy almond butter popsicles drizzled with chocolate! Seriously though, these frozen pops are fantastic. I like that they have more of a deep almond and chocolate taste, and not super sweet. Just a refreshing dessert, I think you’ll find as delicious as I did! Enjoy! Hip Tip: In the nutritional macros, I left the sweetener out so you can choose YOUR favorite sweetener. Be sure to calculate that in! These look so fun! I can’t wait to make them!! Can I skip the sugar or swerve all together or would that mess up the recipe? Well you could mix it all together and taste it to make sure before freezing. May not be sweet enough, but you could try? Or use sweetener of choice. Darn! Which browser are you using? Are you using the Pinterest app on your phone or on a desktop/laptop? Hi Karen! We think we have now found and fixed the issue if you wanted to try again! Am I missing something? I don’t see almond butter in the ingredient list. Is the “almond milk” suppose to be “almond butter”? Hi Wendy! You will need both. 1 cup almond butter is listed above. Hope that helps! Hi! I see the cream cheese pictured, but not on list of ingredients. Does cream cheese go in the recipe? Thank you for all the great recipes. We have been enjoying them. Hi – thanks so much for pointing that out – yes 8oz cream cheese should be first ingredient. I’ll fix now!